Ban vs WI 1st T20, Bangladesh vs Windies T20 Highlights: West Indies crush Bangladesh to win the opening T20I by eight wickets. 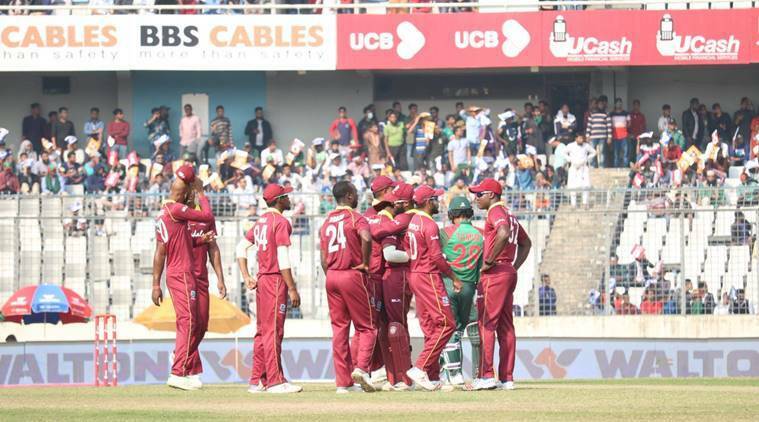 Ban vs WI, Bangladesh vs Windies 1st T20 Highlights: It was a one-sided affair as West Indies beat Bangladesh by eight wickets to take a 1-0 lead in the three-match T20I series at Sylhet. Batting first, Bangladesh set Windies a target of 130 after throwing away wickets earlier in the day. Hope slammed fifty to continue his brilliant form and formed an opening partnership with Evin Lewis to hand the hosts a crushing defeat. The Bangladesh bowlers suffered as the visitors slammed eight fours and 10 sixes in just 10.5 overs in this innings. Earlier, the hosts won the Test series by a margin of 2-0 and the ODI series by 2-1.